A little bit about our board members that you may not already know....Michael is the inspirational and motivational creator of the show as well as our sales and marketing expert. Lynne is behind the scenes and on the scene as the non-stop coordinator making sure the show runs smoothly every Sunday night. Sheila is the Florida Council of the Blind President as well as President of the Greater Orlando Council of the Blind. Dave is a talented musician who plays the guitar, sings and also composes his own songs. 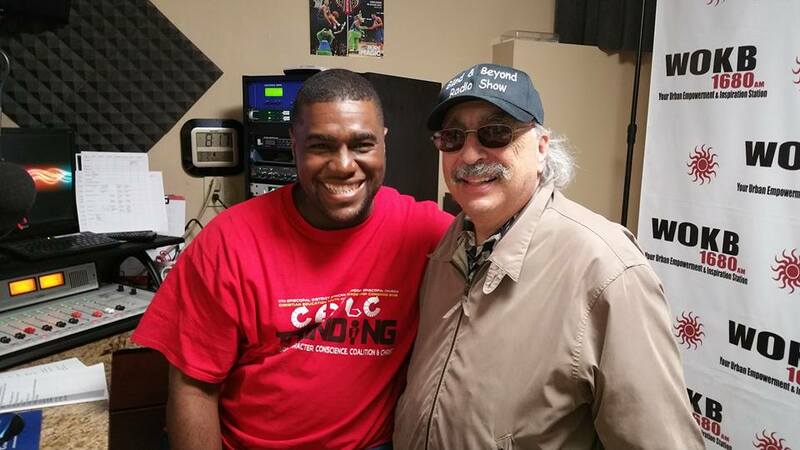 Gary is a Navy Seabee veteran and a staunch promoter of the Blind and Beyond Radio Show! ​​​And then there is CHRIS SHAW, the producer, the engineer, the man with many talents....without Chris there ain't no show! Shown in photo Chris Shaw with Michael Golder, Host...February, 2017.